THIS POST HAS BEEN CORRECTED TO ELIMINATE LIKELY INACCURATE RANGE CLAIM BY CHINA DAILY; CLICK HERE FOR A COMPLETE UPDATE. According to an article by China’s official Xinhua News Agency entitled “China’s DF-21D Missile is Still Undergoing Research” (陈炳德: 东风21D导弹还在研究中), on 11 July 2011 PLA Chief of General Staff General Chen Bingde became the first Chinese government official to confirm publicly that China is developing the DF-21D anti-ship ballistic missile (ASBM). According to an English-language China Daily article, the missile has “a maximum range of 2,700 kilometers” (1,678 miles). As Bradley Perrett, Aviation Week, explains, “If the China Daily’s information is accurate, then U.S. aircraft carriers seeking to undertake strike missions while remaining outside of DF-21D range would need aircraft of even greater range than previously assumed.” The 2010 Department of Defense report on China’s military, for instance, lists the DF-21D’s range as 1500+ km (932+ miles). General Chen addressed the topic of Chinese ASBM development by telling Chinese reporters that it was one of the issues that he had discussed with Admiral Mullen. He took pains to emphasize, however, that China’s ASBM is “still in the research stage” (还处于研究阶段), and “has not yet achieved operational capability” (尚未形成作战能力). Specifically, “the DF-21D is undergoing research, development, and testing, has not developed into an operational capability [or developing into capability is not an issue at present]” (东风21D正在研究, 正在科研, 在试验之中, 还没有形成能力问题). Xinhua paraphrases General Chen as explaining that he “hopes Chinese experts can contribute in this regard, but this sort of high-technology advanced weapon is very difficult to bring to maturity” (希望中国的专家们能在这方面有所贡献, 但是这种高新技术的尖端武器很难成熟). It quotes him directly once again as stressing that doing so “requires funding inputs, advanced technology, and high-quality talented personnel; these are all fundamental factors constraining its development” (要经费投入, 要先进的技术, 还要有高素质的人才, 这都是制约它发展的根本因素). The English-language China Daily article renders this as “It is a high-tech weapon and we face many difficulties in getting funding, advanced technologies and high-quality personnel, which are all underlying reasons why it is hard to develop this.” Specific documentation for these and other quotations is provided in the articles appended below. As for the definition of “operational,” it seems likely that the U.S. and Chinese militaries have different definitions of what it means for a weapon to be operational, with the PLA’s definition in this case being more stringent, at least in certain respects. This would explain why Admiral Robert Willard, Commander, U.S. Pacific Command, stated in December 2010: “I would gauge it as about the equivalent of a U.S. system that has achieved [Initial Operational Capability] IOC.” Perhaps also whereas Admiral Willard was speaking of the U.S. concept of IOC, General Chen is alluding to a Chinese benchmark closer to the U.S. concept of Full Operational Capability (FOC)—a much higher standard to meet, and one that no U.S. official has claimed publicly that China’s ASBM has achieved. In any case, this apparent discrepancy highlights the pitfalls of using U.S.-specific terms to describe foreign systems and capabilities. But it is worth revisiting Admiral Willard’s own statement of December 2010, which is not necessarily so different from General Chen’s: “The anti-ship ballistic missile system in China has undergone extensive testing. An analogy using a Western term would be ‘initial operational capability,’ whereby it has—I think China would perceive that it has—an operational capability now, but they continue to develop it. It will continue to undergo testing, I would imagine, for several more years.” As in so many other areas, authorities on the respective sides of the Pacific may be talking past each other when in fact they are saying broadly similar things. 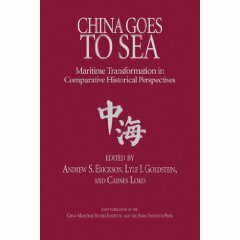 It would be a mistake to let semantic issues obscure real Chinese progress with real strategic implications. There may be other factors at play as well: General Chen may be downplaying Chinese capabilities to attempt to minimize foreign development of countermeasures to them. At the same time, the PLA may feel the need to meet a higher standard of testing before it can be confident of a novel weapon’s effectiveness because it lacks the U.S. military’s years of experience in high-intensity combat, sophisticated testing, and simulation. But it would be a mistake to assume that China’s DF-21D ASBM lacks what the U.S. military would consider to be lower-end “operational” capabilities just because it apparently does not yet meet General Chen’s definition. Here an American example may be relevant. The U.S. Air Force did not receive its first E-8 Joint STARS (Joint Surveillance Target Attack Radar System), an airborne battle management, command and control, intelligence, surveillance and reconnaissance platform, until June 1996—meaning that the aircraft officially did not achieve IOC until then. However, two developmental aircraft were employed operationally as early as 1991 in Operation Desert Storm even though it was still in test and evaluation at the time. 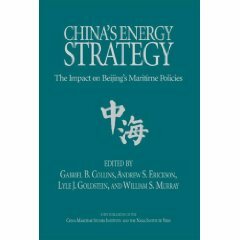 Definitional issues aside, the bottom line is that General Chen would likely not be mentioning China’s ASBM in public if the PLA were not confident that it was maturing effectively and already had reached the necessary development level to begin to credibly shape regional strategic thinking in Beijing’s favor. China seeks not to wage war, but to have to have an effective conventional deterrent capability; and, in a worst case scenario, to have a strike capability if deterrence failed. This is why, General Chen is quoted as stressing in the English-language China Daily article, China’s ASBM “will be used as a defensive weapon when it is successfully developed, not an offensive one.” The goal is to push foreign aircraft carrier groups away from sensitive areas in the event of a crisis or conflict, and to influence the perceptions of people in Taiwan, Japan, and other parts of the region about the likelihood, and likely effectiveness, of U.S. intervention therein. From a Chinese perspective, this appears inherently defensive; from the perspective of the U.S. and other regional actors, it may not appear “defensive” at all. Herein lies a substantial challenge for Sino-American strategic relations even as the two great powers move to explore possibilities for mutually beneficial security cooperation in the future. This will bear close study as further data points become available. Stay tuned! 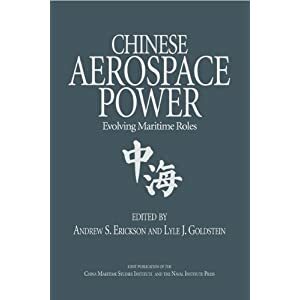 For an explanation of Chinese ASBM development and its larger implications, see the China Maritime Studies Institute Lecture of Opportunity, “Chinese Sources Discuss the ASBM Threat to the U.S. Navy,” that I presented at the Naval War College on 21 March 2011. 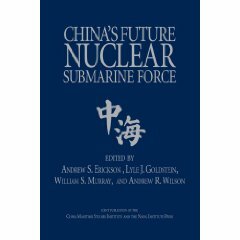 For detailed analysis of Admiral Willard’s statement regarding China’s ASBM reaching IOC, see Andrew Erickson and Gabe Collins, “China Deploys World’s First Long-Range, Land-Based ‘Carrier Killer’: DF-21D Anti-Ship Ballistic Missile (ASBM) Reaches ‘Initial Operational Capability’ (IOC),” China SignPost™ (洞察中国), No. 14 (26 December 2010). Alexa Olesen, “China Says U.S. Spends Too Much on Military,” Navy Times, 11 July 2011. … During their talks earlier Monday, Chen said he and Mullen also discussed China’s development of a new missile system, the Dong Fang 21D. Analysts have said the “carrier killer” missile might threaten U.S. warships and alter the regional balance of power. BEIJING – A top military official on Monday confirmed for the first time in public that China is building an aircraft carrier. China is the last permanent member of the United Nations Security Council to get an aircraft carrier. Before acquiring Varyag, the country had bought three decommissioned aircraft carriers for the purpose of studying them. Two of them, the former Russian carriers Minsk and Kiev, have been turned into theme parks. Liu Huaqing, former vice-chairman of China’s Central Military Commission, who died in January, first conducted studies in 1970 on the feasibility of building a domestic aircraft carrier. Not until decades later, though, did China start to refit the Varyag and consider building a carrier. Having 11 aircraft carriers makes the United States “a real world power”, he said. Much of China’s military technology is similar to what the US was using from 20 years to 30 years ago, Chen said. Mike Mullen, chairman of the US Joint Chiefs of Staff, who is on a visit to China, said while “great symbolism” is associated with China’s first aircraft carrier, “sometimes matching the actual capability versus the symbolism, there can be a gap there”. Hong Yuan, chief of the Center for Arms Control and Nonproliferation Studies at the Chinese Academy of Social Sciences, previously said there will be “a prolonged process” before the Varyag can be even remotely effective. The 67,500-ton Varyag is considerably smaller than the Japan-based US carrier George Washington, which has a displacement of more than 100,000 tons. But when it goes into service, it will make China one of four countries besides the US, France and Russia to have an operational carrier with a displacement of 50,000 tons or more. The Varyag was bought from Ukraine for $20 million in 1998. According to reports, it has been undergoing refitting work at a shipyard in the northeastern coastal city of Dalian since 2005. “This has been a gigantic project and is virtually as complicated as building a brand-new aircraft carrier,” an unidentified source with the military industry in Dalian was quoted as saying by the Kanwa Asian Defense magazine. Just as the news came out that the Varyag will begin initial sea trials probably either late this month, in early August or later in the year, rumors arose saying that another aircraft carrier is being built in Shanghai. In earlier June, the Hong Kong Commercial Daily quoted Chen as saying – during his flight to the US – that the construction of at least one aircraft carrier is “under way, and not finished yet”. Chen did not disclose on Monday how many aircraft carriers China plans to build. He did acknowledge, though, that Beijing is developing the Dongfeng-21D, a ballistic missile with a maximum range of 2,700 kilometers and the ability to strike moving targets – including aircraft carriers – at sea. “The missile is still undergoing experimental testing and will be used as a defensive weapon when it is successfully developed, not an offensive one,” Chen said. “It is a high-tech weapon and we face many difficulties in getting funding, advanced technologies and high-quality personnel, which are all underlying reasons why it is hard to develop this,” he added. The steam-powered Varyag is expected to serve primarily as a training vessel for pilots and deck crews. Speculation over what is going to be stationed on it has become more rampant in recent times. According to online leaks, the vehicles it carries may include the J-15 fighter, the JT-9 naval trainer and the Z-8 helicopter. It is uncertain when the Varyag will be made operational and where it will be based.